On this Memorial Day, the members of American Legion Auxiliary Unit 8 were distributing poppies around the DC area to raise awareness of the sacrifices made by our active duty soldiers and veterans. 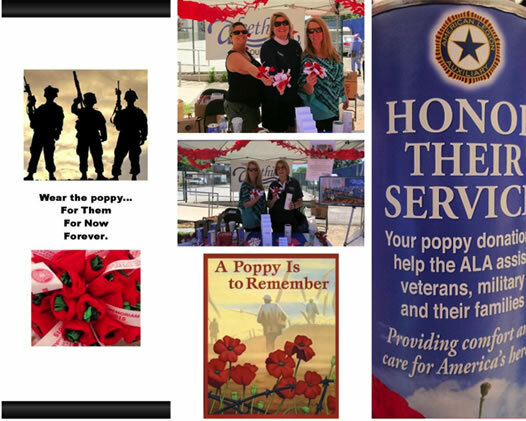 Every donation collected during their poppy’s program goes to help veterans and their families in the local community. ALA Unit 8 has chosen the Aleethia Foundation as their 2015 poppy beneficiary. Aleethia extends our appreciation to ALA Unit 8 for their support of our programs that assist the wounded/injured/ill service members and their families.